Standish Room, Science Library on the University at Albany’s uptown campus. 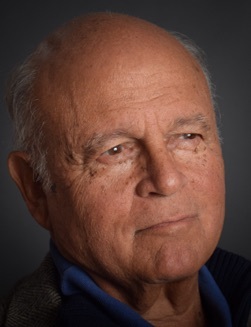 The New York State Writers Institute presents Portuguese poet Rosa Alice Branco with translator Alexis Levitin for a presentation and Q&A at 4:15 p.m. Tuesday, April 3 in the Standish Room, Science Library on the University at Albany’s uptown campus. Free and open to the public, the event is cosponsored by the NYS Writers Institute and the Portuguese Program of UAlbany’s Department of Languages, Literatures, and Cultures. Branco is a major Portuguese poet whose work has appeared in translation in more than forty literary journals around the world. 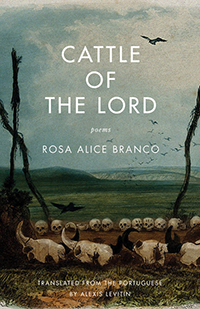 Her collection Cattle of the Lord, translated in 2016 by Levitin and presented in both Portuguese and English, won the prestigious Espiral Maior de Poesia Award. 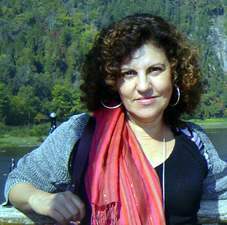 The English translations of her work, developed in collaboration with Levitin, have been featured in New European Poets and dozens of magazines and journals in the United States, including Massachusetts Review, Pleiades, Literary Review, The New England Review, Prairie Schooner, and Words Without Borders. A review in the Portuguese American Journal praised Cattle of the Lord. "Rosa Alice Branco offers a stunning poetic vision at once sacred and profane, a rich evocation of daily life troubled by uneasy sacramentality... Readers find themselves in a world turned upside down: darkly comic, sensual, and rife with contradiction. Here, liturgical words become lovers' invitations. Cows moo at the heavens. And chickens are lessons on the resurrection." Alexis Levitin has translated more than thirty works of writers from Portugal, Brazil, and Ecuador, and his translations have appeared in more than 200 magazines, including Partisan Review, Kenyon Review, and Prairie Schooner. A distinguished professor at SUNY Plattsburgh, his forty books of translation include Clarice Lispector's Soulstorm and Eugenio de Andrade's Forbidden Words. In 2010, he edited Brazil: A Traveler’s Literary Companion. More recent books include Blood of the Sun by Brazil’s Salgado Maranhão (2012), The Art of Patience by Portugal’s Eugenio de Andrade, Tobacco Dogs by Ecuador’s Ana Minga (2013), 28 Portuguese Poets, with Richard Zenith (2015), Destruction in the Afternoon by Ecuador’s Santiago Vizcaino (2015), Exemplary Tales by Portugal’s leading woman writer, Sophia de Mello Breyner Andresen (2015), and Tiger Fur by Brazil’s Salgado Maranhão (2015). The event, cosponsored by the NYS Writers Institute and the Portuguese Program of UAlbany’s Department of Languages, Literatures, and Cultures, is free and open to the public. For additional information, contact the Writers Institute at 518-442-5620.